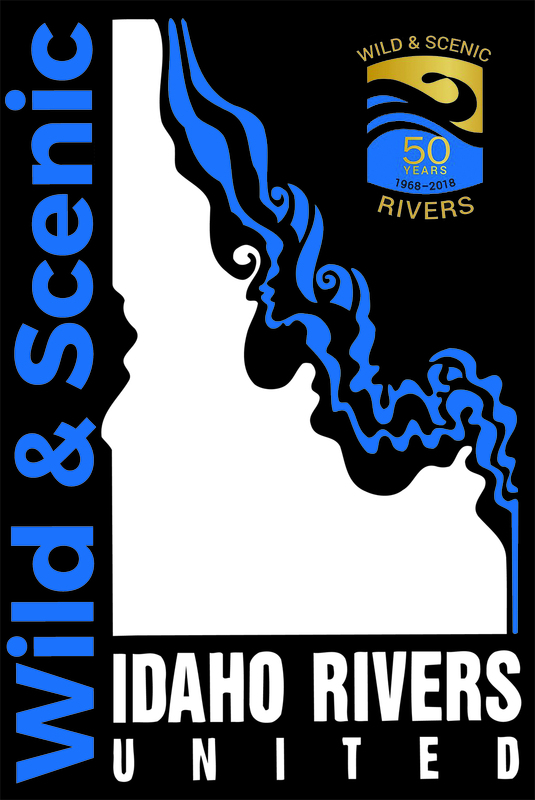 “This year, while we’re celebrating the Wild and Scenic Rivers Act’s 50th anniversary and all it’s done for rivers from coast to coast, it’s a good opportunity to consider the Idaho forces that made the law what it is,” said IRU Executive Director Kevin Lewis. The Wild and Scenic Rivers Act became law on Oct. 2, 1968 after more than a decade of work by prominent environmentalists and elected officials. None was more notable, however, than the act’s Senate floor sponsor and key architect, Sen. Frank Church, D-Idaho. By the 1950s, decades of damming, development and diversions had taken their toll on the nation’s rivers and, across the nation, impacts to fish, wildlife, recreation and entire aquatic ecosystems were profound. In Idaho, one of those examples included the death of thousands of chinook salmon at the just-completed Oxbow dam in 1958. “If we fail to give the rivers, which are assets of unique and incomparable value, statutory protection now, while there is still time, we shall have only ourselves to blame later, when time has run out,” Church warned. When his salmon bill didn’t pass the Senate in 1963 Church switched tactics—and broadened scope. In March 1965 he introduced the National Wild Rivers Bill, which prohibited dams on certain selected rivers. The Johnson administration fully supported the measure, and it was signed into law as the wild and Scenic Rivers Act in 1968. Four of Idaho’s finest Wild and Scenic Rivers were among the original eight protected with passage of the act: the Middle Fork of the Salmon, Middle Fork of the Clearwater, Selway and Lochsa rivers. In addition to being part of the Wild and Scenic Rivers Act’s origin story, Idaho has some of the nation’s finest Wild and Scenic Rivers. Idaho has more than 100,000 miles of rivers, of which 891 miles are designated as Wild and Scenic. While those rivers—places like the Salmon, Middle Fork of the Salmon, North Fork of the Owyhee and 21 others—are impressive, designated miles constitute less than 1 percent of the state’s total river miles. Moreover, the issue of protecting Wild and Scenic Rivers isn’t always about designating more miles. In the past decade, Idaho Rivers United has spent considerable resources encouraging the federal government to protect rivers already designated as Wild and Scenic Rivers. In short, federal and state agencies don’t always adhere to the protections mandated by the act. As of December 2014, the last designation, the National Wild and Scenic Rivers System, protects 12,734 miles of 208 rivers in 40 states and the Commonwealth of Puerto Rico. This is a little more than a quarter of one percent of the nation’s rivers. By comparison, more than 75,000 large dams across the country have modified at least 600,000 miles, or about 17 percent, of American rivers.